My daughter and I recently had a problem. She needed to practice her multiplication facts, and we didn’t have flash cards. We could have made our own cards or bought some, but I was sure that someone, somewhere had made a website that would solve our problem. And I was right. 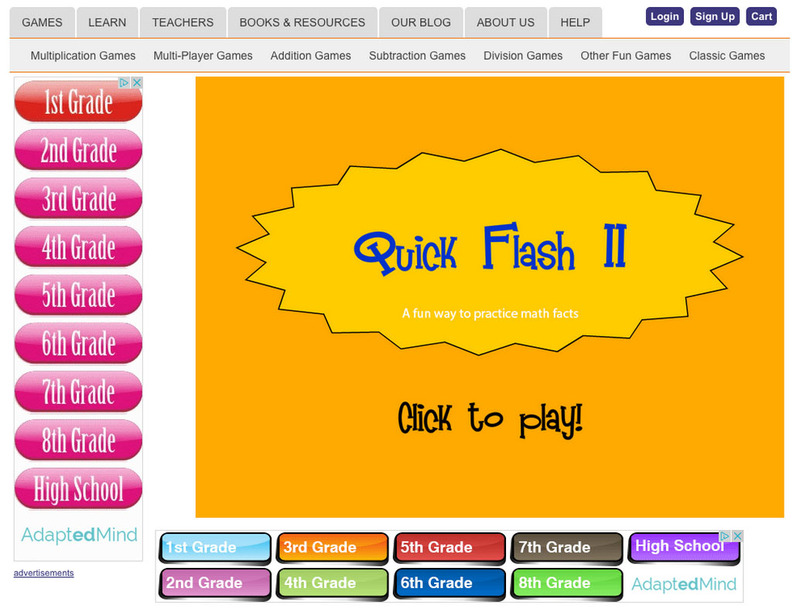 A quick search for multiplication flash cards, and I was lead to a website with a flash card game. After a while of playing, my daughter started to get bored and wanted something more challenging. Her mouse began to move to the “sidebar” next to the game to select one of the grade levels that were displayed. It seemed like a reasonable thing to do to increase the game’s difficulty. But once I realized what she was doing, I told her not to click that—it was an advertisement. She was extremely confused as she looked at the ad. To her, it looked like it was meant to be part of the game’s navigation. She saw bright colors similar to colors in the game and buttons that looked like they were part of the game’s controls. I was able to recognize the advertisements because I knew what to look for. I saw the tiny “advertisements” link that appeared disjointedly below one of the ads. I recognized the weird blue icon in the corners of the images marking a Google Ad. I know these things because I have spent a large chunk of my life browsing the internet and have learned to recognize them. But even though the ads are marked so an adult will recognize them, the website’s target audience is children, and extra precautions need to be made to protect and teach them. My daughter and I experienced a Dark Pattern, specifically a pattern called Disguised Ads. The term dark pattern describes a design element meant to intentionally trick people into doing something they might not normally do. My daughter wasn’t interested in learning about someone else's service. She wanted to continue playing her game, and the advertisement and it’s placement was deceptive. Dark patterns aren’t just an issue for children. They are a problem we see all over the Web, and once you start learning about them, you will begin to recall times where you have encountered them in the wild. One that I have encountered frequently is when I try to delete an unused account and find that I have to jump through hoops to accomplish this. If you find it is easy to sign up for a service but then next to impossible to cancel, you have entered a Roach Motel. I don’t think I know a person who hasn’t encountered a Trick Question. This one is most common with newsletter signups where companies use double negatives to trick users into signing up for their newsletter. In the website above, who is it blame for the deceptive ads? Is it the website owner, the owner of the advertisement, or is it the third-party ad service providing the ad? Personally, I say all three are to blame, but the website owner is the big offender. The owner has all the control over where ads are placed on the page and how clearly they are marked as advertisements. The site owner also chose to use a third-party ad service, which takes the types of ads shown on the page out of the owner's hands. Not overseeing your own ads is a luxury websites for children shouldn’t have. At face value, this might sound great, but let’s look at what else would have happened. My daughter would have been led to a site she didn’t intend to go to and would have been confused as to how she got there. I would have been upset that my daughter was so easily led off what was supposed to be a safe site for children. They would have created negative experiences for my family. Even though my daughter didn’t click the link, they still created a negative experience since I didn’t really appreciate the attempt to trick their users. Because of this, we haven’t gone back to the website. They lost what could have been a regular visitor for a one-time monetary gain all because they put the short-term needs of the company before the needs of the user. 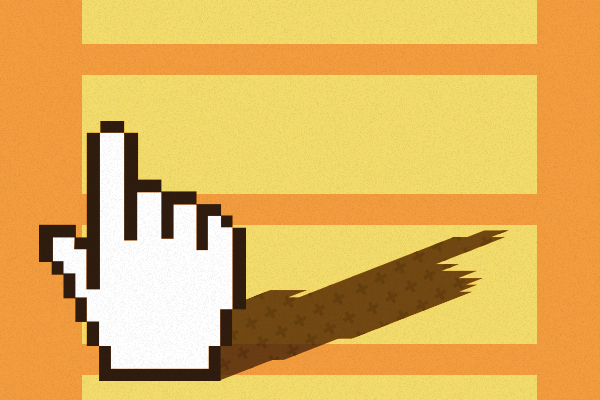 The solution to dark patterns is actually pretty simple: practice empathy. Not only are we the builders of the Web, but we are also its visitors. We spend countless hours visiting websites and learning. We have encountered numerous dark patterns and know exactly how they make us feel. When building a website, take a moment to think about how you would feel if you were the visitor. When you find something that feels gross, find a way to craft it into something positive. Use your knowledge of dark patterns and learn from them to create good experiences for your visitors. Prototyping gives you a lot of wins at a low cost. Ryann recaps Apple's prototyping secrets from WWDC 2014 and shows how attainable they are for everyone. Navigation and accessibility can make or break your site. Accessible navigation, especially on mobile, is tricky. Ryan shares a few reviews using a sweet template from Scott Hurff.